Choose a civilization and grow it from ground up. Get to level your buildings to earn more benefits from them. Build a strong army to withhold attacking parties and invading enemies. Nowadays, there are a whole lot of other options that are available for people to learn history. One of the famous and more engaging ways of learning is through games–and Age of Empires has been successful in doing just that. 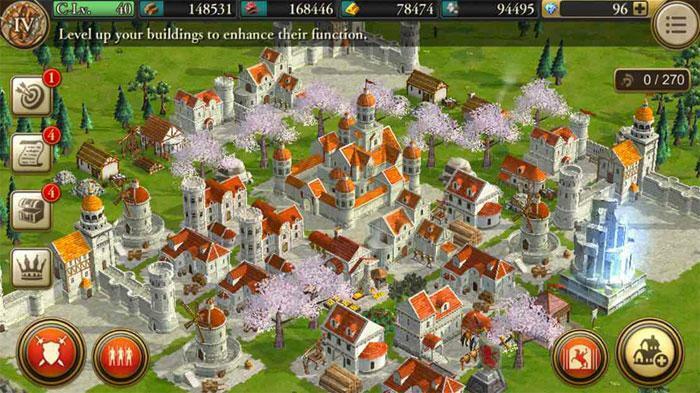 Age of Empires is a free-to-download, real-time strategy mobile game by KLab Global Pte. Ltd. – wherein players battle in real-time against other legendary heroes. As players will be going head to head against heroes, players will essentially lead their troops to victory with the help of their own hero. When the players commence gameplay, they will have to first nominate a name for their empire. Once a name has been selected, players will now have to choose a civilization that they will use for their conquest to victory. Some of the civilizations that are available are the: Britons, Celts, Chinese, Franks, Huns, Japanese, Saracens, and Vikings. Every single civilization has its own skills and features. Some of the features and special characteristics that people will have to focus on will be the speed of deployment of units in the battle, the type of soldiers specific to the civilization (like perhaps a spearman, cavalry, etc. ), the speed of movement of cavalry, and of course the civilization’s unique history, which largely contributes to the civilization’s discrete capacities and strengths. Whatever type of civilization players will select, they may have the option to change it to another type of civilization later on in the game. Once a civilization is chosen, players will now have to grow their empire. As all simple empires, every empire will have to start small and simple. The challenge now for every player is to strengthen their empire with the right combination of resources and military strategy. Just like any kind of empire, a successful empire that is absent of any advance defenses or strong allies, will first have to establish a strong defense. So in following that ideal, one of the first task that players will have to do is to build their own army housing. By looking into the building facility section, players will get the chance to check the different aspects like the price, the time it will take to build the facility, etc. The next thing on the player’s list is to locate the facility on your land. Some buildings can be upgraded for free while others will have to be upgraded with a few gems. After building the facility, the next most important thing for players to do is to build stronger defenses with a strong army. In building an army, one of the most essential thing that players will have to do—aside from selecting units—will be to assign a General/Hero to lead the units to victory. Every single Hero selected has their own special skill set that absolutely sets them apart from the rest. Most of the heroes available can be acquired for free but then there are also a few heroes that are only available by paying up a few gems. Once the player is happy and satisfied with the choice of Hero, players will have to assign their chosen Hero to available units. Once they have done that, players may now begin their conquest to occupy and conquer the land. 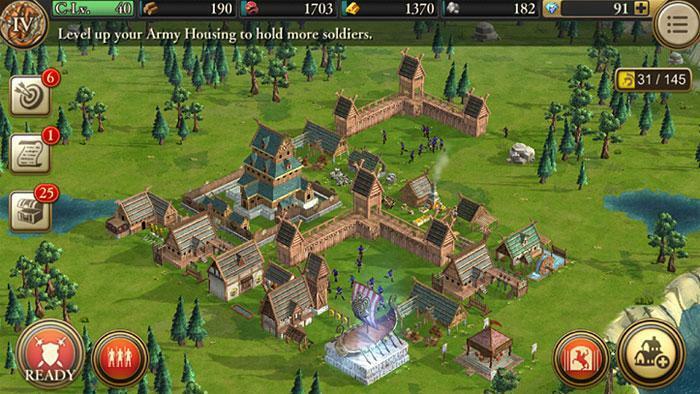 When engaging in battle, players will swipe and direct their units around the land to battle with enemies and occupy other empire’s buildings. 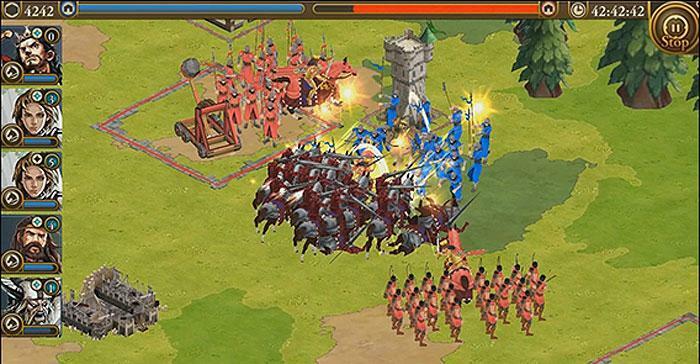 Age of Empires, with its highly engaging gameplay through real-time battles and civilization customization, looks to be successful in engaging a new breed of Age of Empires fans by tapping into the mobile generation.